Our degreed and professional faculty members are accomplished musicians with experience teaching music to students of all ages. Coming from a family of musicians, Sandra Baran has been active as a teacher, performer, accompanist and church musician since her teenage years in New Jersey. Mrs. Baran holds a Master of Arts degree in music from Florida Atlantic University and is a member of the Palm Beach County Music Teachers Association and the National Guild of Piano Teachers. She has taught pre-school music through college level music courses at Florida Atlantic University. Mrs. Baran is a staff musician at St. Patrick’s Church, Palm Beach Gardens. She maintains a full studio of piano students from beginners to advanced, and continues to perform in South Florida both as a pianist and as a member of the professional singing group, The Parson Brown Singers. Ms. Miller holds a Bachelor of Arts degree with a major in music theory from Goucher College and is a member of the Palm Beach County Music Teachers Association. Her most influential piano teachers include Roselle Plow of the Prague Conservatory, and Sylvia Glickman of Haverford College . Karen is passionate about her teaching and believes that the aesthetic and therapeutic effects of music are sustaining life forces much needed in the world today. Mrs. Rosmarin holds a Master of Education degree from Bowling Green State University in Ohio . She has been a substitute music teacher in the Palm Beach County Schools for the last nine years – primarily at Jupiter Middle and Jupiter High School . She was the music director for AWANA program at the First Baptist Church in Tequesta for ten years and pianist for Seaside Chapel. Janet enjoys accompanying multiple choirs, solo and ensemble groups at Duncan Middle, Jupiter Middle and Jupiter High School. Ana Maria Soto recently moved to Florida from California. She received her undergraduate degree in art and music and received a Masters of Music degree in guitar and lute from the University of California at Irvine. She teaches guitar, piano and orchestra instruments, and has performed both nationally and internationally. Mrs. Bies holds a masters degree both piano pedagogy and music therapy. She was trained as a pianist in her native Japan and moved to Fredonia NY where she attended The State University of New York at Fredonia to study piano and music therapy. Mrs. Bies has completed her Master of Music degree in Music Therapy from Ohio University and Mast of Music degree in Piano Pedagogy from the University of South Carolina, and has been teaching private and group piano lessons for the last decade. She has performed in various community events and has given presentations at conferences. Mrs. Bies is a very patient and nurturing instructor who works well with students of all ages and abilities including those with special needs and learning challenges. Mrs Bies has studies piano with Tao Lin, Sylvia Eckes, Phyllis East and Charles Fugo and is a member of Music Teachers National Association. A native Thai pianist, Sumpun Lertsintupun began his studies at a young age. He received his Bachelor of Music degree in piano performance from Silpakorn Univeristy in his home country where he studied with Nina Svetlanova from the Manhattan School of Music in New York. In 2002 he was awarded a scholarship from the Yamaha Institute which allowed him to further his studies in Europe and America. He participated in many piano competitions in his native country including the Bangkok Chopin Piano Competition, Mahidol Piano Concerto Competition and Piyaband Piano Competition. Sumpun also performed in several master classes including those given by Barry Snyder from the Eastman School of Music. Professor Masayoshi Sasaki from the Boston Conservatory and JeffreyGilliam from Western Washington University. In 2004 he was chosen to participate in the Meisterkurs fur junge Pianisten, a music camp that focused on solo and chamber music in Europe, and took part in a piano master class at the famed Mozartuem Conservatory in Austria. His performances took him throughout Germany and France over a 5 month period. In 2005, Sumpun decided to further his studies in the USA and applied and was accepted into Florida Atlantic University Graduate program where he was offered a Graduate Assistantship position in the Collaborative Arts area. In 2009, he participated and was selected as one of four winners of Florida Atlantic University's fourth annual Concerto and Aria Competition, and performed Tchaikovsky's Concerto in B-flat Minor, Op. 23 with the Florida Atlantic University Symphony Orchestra in early 2010. In April of the same year, Sumpun was chosen to perform in Saint-Saëns Carnival of the Animals with the FAU Symphony Orchestra. He continues to be an active performer in the West Palm Beach area performing solo repertoire and working with both instrumentalists and singers ( in instrumental music and opera) Sumpun Lertsintupun completed his Masters degree in piano performance from Florida Atlantic University in 2011. Brian Brennan started learning piano at age 6. Growing up in Palm Beach, he attended Bak Middle School and Dreyfoos High school of the Performing Arts, during which time he studied privately with Sarah Quincosis and Pedro Hernandez. As a “Kretzer Kid” Brian had many performance opportunities at different venues such as the Harriet Himmel in Palm Beach or the Ritz Carlton. He attended Florida Atlantic University where he studied under professor Leonid Treer. Brian also worked with professor Judith Burganger and Edward Turgeon. At FAU, Brian was able to perform during master classes with amazing pianists such as Roberta Rust of Lynn University’s conservatory of music. Brian played as a church pianist for Grace Presbyterian Church. 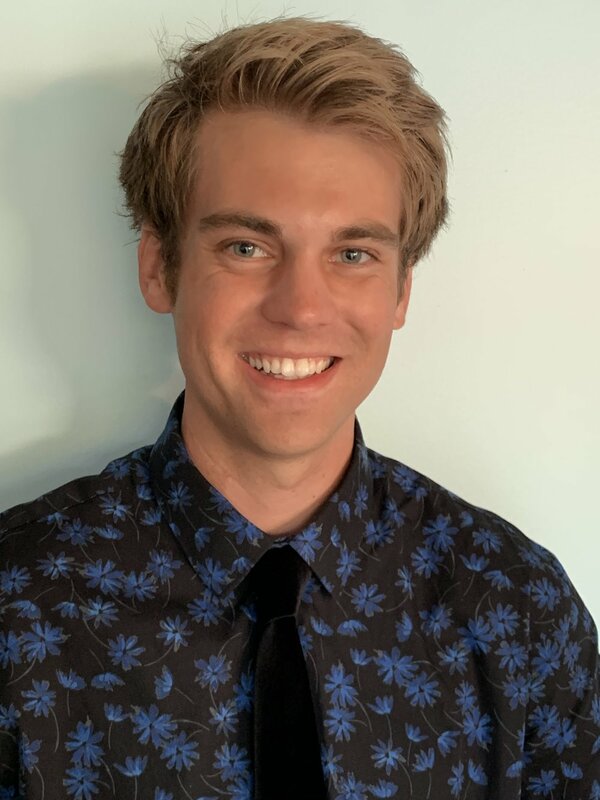 He accompanies vocalists for performances around the Palm Beaches and enjoys teaching students of all ages and getting to see them grow as young pianists. JoAnn Floyd has been teaching piano and playing professionally for 35 years. Her passion for music started at an early age, and was greatly influenced by her Dad, a professional drummer. JoAnn and her Dad began working in bands together when she was just 17 yrs. old! Performing became a very important part of her life and continued to be so even while majoring in Music at Suffolk Community College and Hofstra University in Long Island, NY . She was very fortunate to have been able to study piano under some very gifted teachers/musicians including Blanche Abrams, Mark Hyams & Jazz Great, Marion McPartland. At the age of 20, she met another important musical influence, her husband, guitarist/singer/author, Tom Floyd. Over the years they have worked together playing engagements from Maine to Miami, at Hotels, Restaurants, Country Clubs & Resorts. During these many years of performing, JoAnn has continued to teach piano students of all ages. She has always felt it a plus to have had all of these years of musical experience to share with them! 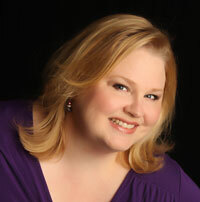 JoAnn Teaches Group & Private Piano Classes, and is a certified teacher of the MAYRON COLE PIANO METHOD. Mrs. Hinkelmanholds a Bachelor of Music degree in music education from Ohio Wesleyan University; is a member of the Suzuki Association of the Americas, Inc. She has taught Suzuki violin at both private and public schools and is also an instructor of viola and cello. Mrs. Hinkelman is the string teacher at Redeemer Lutheran School in Stuart. She has performed with the Dayton Philharmonic Orchestra, the American Ballet Theatre Orchestra and the Plainfield Symphony Orchestra. Jessica Lyons Blocher, a violinist from Southern Maryland, is a graduate of the Cleveland Institute of Music (CIM) where she earned her dual Master’s Degree in Violin Performance and Suzuki Pedagogy and her Bachelor’s Degree in Violin Performance. Her primary teachers include William Preucil (Concertmaster) and Stephen Rose (Principle Second) of the Cleveland Orchestra and CIM. Other teachers include Ricardo Cyncynates, Holly Hamilton and Elisabeth Adkins of the National Symphony Orchestra, and Victor Danchenko of the Peabody Conservatory and the Curtis Institute of Music. Jessica has performed with the Charleston Symphony, National Symphony Orchestra, the Akron Symphony, the Firelands Symphony, the Cleveland Pops Orchestra, the Aspen Opera Theater Orchestra, the National Symphony Orchestra Summer Music Institute, the Kennedy Center Youth Fellowship Chamber Orchestra, and the American Youth Philharmonic Orchestra. She is a graduate of the Kennedy Center Youth Fellowship Program and has soloed in France, and soloed with the St. Petersburg Symphony in Russia. Jessica and her sister, Katelyn were featured soloists at the National Repertory Orchestra playing Sarasate’s Navarra. Jessica has attended the National Repertory Orchestra, Aspen Music Festival, Summit Music Festival, and Strings International Music Festival. Born in Detroit, Michigan in 1960, David F. Jakubiak has been involved in music all of his life, beginning as a concert band clarinet player at age 7 and turning his attention to stringed instruments at 10 years old, as a banjo and guitar player. He began performing as early as high school and later earned first and second place trophies in group talent competitions while a student at the University of Michigan. The instructor earned a BA degree in Organizational Psychology from the University of Michigan and a Masters in Public Administration from the Edwin O. Stene Graduate Program at the University of Kansas. In addition, he took various courses in classical music and music history. For over 30 years, Mr. Jakubiak has taught and performed as a musician. In addition to on-stage performances, Mr. Jakubiak has played in various venues from outdoor festivals to small nightclubs. His diverse background includes rock, pop, blues, jazz, classical, country and bluegrass styles. He teaches individual and a variety of group classes in guitar, five-string banjo and mandolin. He takes an interest in each student to ensure that they receive personal attention and lesson plans that meet their needs. His lessons and instructional materials place an emphasis on music theory to ensure that the student understands the instrument and how to improvise to develop their own style. He is the author of five instructional books on CD for guitar, banjo and mandolin. Dave has established his own website www.fretmentor.com. He has published articles and is a current writer for a monthly publication "Banjo Newsletter". Guitarist, Tom Floyd, has been a professional musician and teacher for over 30 years. He published “Quartal Harmony and Voicings for Guitar” Book & Cd, for Mel Bay Publications, one of the largest music publishers in the world. Tom taught as an adjunct Professor of Jazz Guitar at Florida Atlantic University for 8 years. He has played on recording sessions in Florida and Nashville , TN and worked for top Club Date agencies including Marshall Grant, Lester Lannon, Neil Smith and Bobby Hardwick. Tom studied with legendary guitarists Pat Martino, Jack Wilkins, Chuck Wayne, Sal Salvador and Don Arnone. He organized and hosted seminars by Jack Wilkins, Tal Farlow and Pat Martino. Tom plays various styles including: Jazz, Rock, Classical, Blues and Country. His Philosophy of Teaching is to help the student play the music that he or she wants to play and give the student a practical understanding of the guitar and music theory. He teaches the skills that enable the student to apply themselves to all forms of music. Each student is an individual and is taught in a manner that inspires his or her personality. Always laugh! Brad was born and raised in New York City. After studying music at the State University of New York at New Paltz, he had the opportunity to tour Europe playing with a rock & roll revue. After 7 years of almost non-stop touring all over Europe, Brad decided to take up permanent residence in Switzerland where in the year 2000 he started “Brad’s Music Academy”, a small music school offering guitar and drum lessons in English and French. He kept a full time teaching schedule of more than 30 students a week in addition to playing in several live bands covering various style of music from Rock and Jazz to Blues and Country. 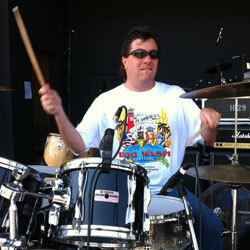 His students ranged from 5 year old kids learning the basics of rhythm to teenagers learning rock guitar and drums, to retirees picking up a new hobby. Brad's teaching method is to create a fun positive atmosphere for the students to learn their instruments while still giving them a good solid base of theory and technique. In July 2009 he moved back to the United States with his Swiss wife and 12 year old son, to live in Palm City Florida and create a new teaching practice. Brad is really looking forward to becoming part of the local community and helping the next generation of musicians get started. Tammy Roggen is the former band director at Watson B. Duncan Middle School in Palm Beach Gardens and the former adjunct flute professor at Palm Beach State College. She received a Bachelor of Music Education degree at Florida State University and a Master of Music in Flute Performance at the University of Missouri-Columbia. She performs with the Treasure Coast Flute Choir, the South Florida Flute Orchestra, the Florida Flute Orchestra and the International Flute Orchestra. Every summer, she teaches flute master classes at the Palm Beach County Summer Band Camp. She is a member of the Florida Flute Association and the National Flute Association. Mr. Jim Estes teaches trumpet and other brass instruments privately and his students have enjoyed great success for over 40 years. In 2010 nine of the sixteen trumpets chosen for the FBA District Middle School Honor Band were his private students, including the top 5 chairs. As a performer, Mr. Estes appears as Principal Trumpet in several orchestras, including The Academy Orchestra, and The South Florida Philharmonic. 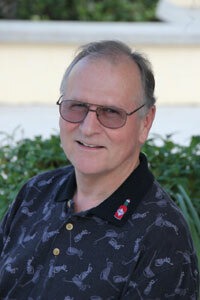 In 2013 Mr. Estes was appointed Principal Solo Cornet of the Orchid City Brass Band. Mr. Estes has a B M Ed. from the University of Southern Mississippi and a M.S. Degree from the University of Illinois-Urbana. Mr. Estes was a Graduate Assistant at the University of Miami and completed all the coursework and qualifying exams for the Ph.D. Degree in Music Education. Mr. Estes is a National Board Certified Teacher. In addition to his formal education, Mr. Estes was a private trumpet student of Vincent Cichowicz of the Chicago Symphony and later studied with Gilbert Johnson, formerly Principal Trumpet of the Philadelphia Orchestra. In the course of learning from these two world-famous teachers and teaching a wide variety of students on all the brass instruments, Mr. Estes has developed an approach to teaching which is successful with nearly all students. Judy Marchman began her music studies at an early age, going on to earn a Bachelor of Music degree from Palm Beach Atlantic University, a Masters of Music degree from Florida State University, and a Doctorate of Musical Arts from University of Miami. A soprano, Judy has performed the roles of the starchy schoolteacher, Miss Wordsworth in Britten’s Albert Herring, the dark and comedic Foreign Woman in Menotti’s The Consul and the fateful Eurydice in Milhaud’s Les Malheurs d’Orfée. Judy has performed as a soloist in several large works, such as Mozart’s Requiem, Faure’s Requiem, Rutter’s Magnificat and Gloria, Bach’s Magnificat, and Vivaldi’s Gloria among others. A native to West Palm Beach, Judy has performed with the Palm Beach Opera for over 20 productions.